Amaranthine Voyage: The Tree of Life is a beautiful game with some breath taking adventure set before you. As you uncover new worlds, first, your understanding is changing as well as you are now challenged to save those worlds. Will you take the challenge? There's a bit of archaeology and also some unrealistic location of the new world. You are an archaeologist who has his own views and understanding of certain things. But your job itself is something that might turn some aspects around. As you find an artifact, you find out the story of the tree of life wasn't just a legelnd. And now you are holding the key to save this newly discovered world for some evil force. The game is presented with the themes you would expect. There's a bit of archaeology and also some unrealistic location of the new world. Add some great sounds and voice overs to this and you have general impression of the game. 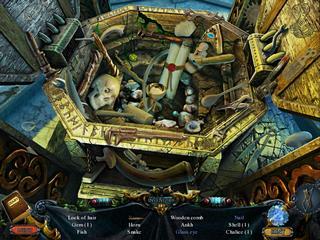 As to the game play, it features well known kinds of levels. 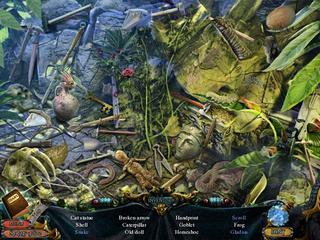 There are interactive hidden object levels with many items cluttering the scenes. The mini-games are all fun to play, even though most of them are well familiar to you from the previous games. There is also a map and a journal to use as you wish. You assignments are to be found there. There's a hint button, but you probably don't want to use because the game itself is not really challenging. Try this game out! There's always this free version, if you are not sure. This is Amaranthine Voyage: The Tree of Life review. Download this game here.